​Check out our customer friendly software. You can make a reservation or update your information on our customer portal. 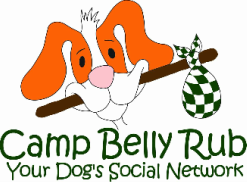 Current Customers: It is very important to use the same email address that Camp Belly Rub has on file in order to associate this account to the correct profile. If an email address is different from what is on file, you will be prompted to create a new account which will result in duplicate profiles. Note: The first time you login you will be prompted to set up a password once an email address is entered. New Customers: New to Camp Belly Rub? You will be directed to our Online Registration Form. Once your information is entered, you can request an appointment for temperament test. Camp Belly Rub still needs the authorization forms filled out and signed. ​ Please click here to enter the customer portal! !